Use our smart solutions to score an “A” in back to school nutrition. Kids are heading back to school and if you’re busy buying notebooks, pencils and papers, don’t forget to restock your kitchen with essential foods and beverages that help kids excel both in — and out — of school. Breakfast really is the most important meal of the day. Several studies highlight the benefits of breakfast, including better memory time, test scores and school attendance. Egg-based breakfasts are among our favorites because a large egg has six grams of high-quality protein and 13 essential nutrients including lutein and choline, which are important for brain development. A fruit or veggies for vitamins and fiber. Check out our Appetite for Health video featuring some of our favorite breakfasts, lunches and dinners that give kids the edge. 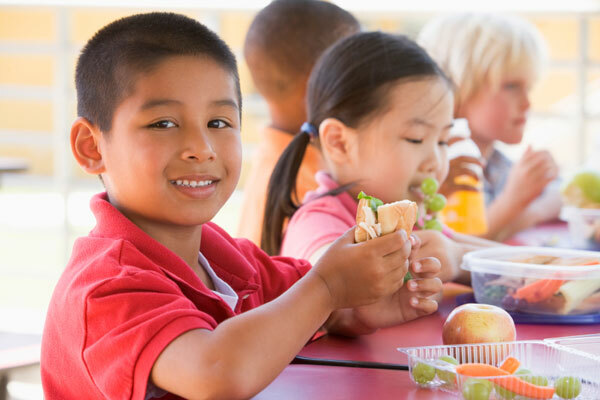 While we often joke about school lunch options, a study from Virginia Tech found that some 60 percent of parents surveyed pack school lunches that are less nutritious than what’s available from the school. Some of the things parents still pack include sugary beverages, desserts, like cookies and salty snacks like potato chips. A protein bento box with hard-boiled eggs and low-fat cheese, veggies and dip with milk. An open-faced whole grain tortilla spread with nut butter and topped with fresh fruit and served with milk or yogurt. This post is sponsored by the American Egg Board. All views and opinions are those of the authors. 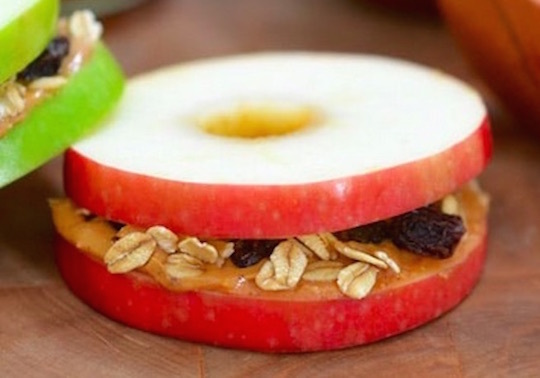 Great tips, I Love the apple sandwiches!